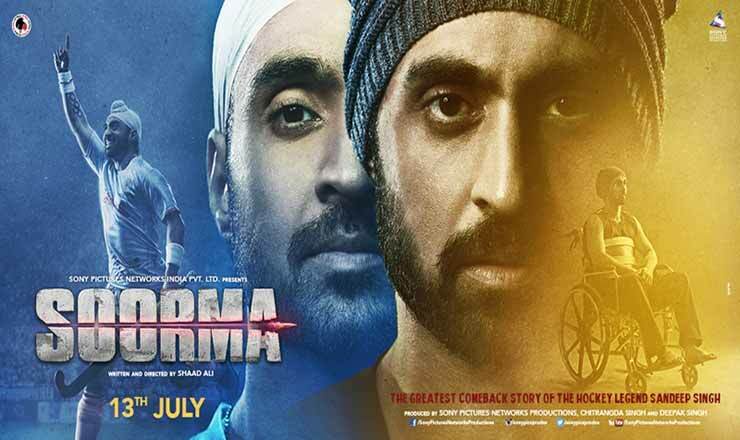 Soorma is a Hindi biographical sports Bollywood drama movie based on the life of hockey player Sandeep Singh, directed by Shaad Ali, produced by Sony Pictures Networks India and C.S. Films. It stars Diljit Dosanjh, Tapsee Pannu in lead roles.